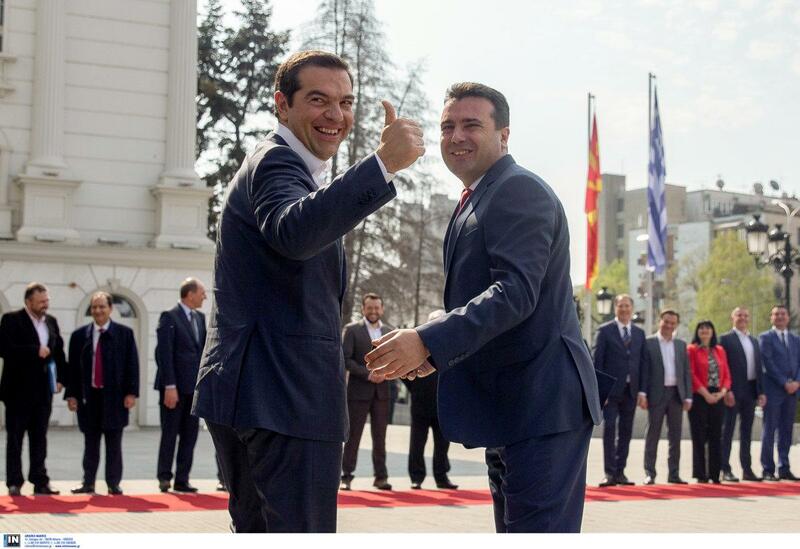 Government circles express satisfaction over the visit of the Greek Prime Minister to Skopje, as the government stresses after 30 years of inertia, tension and suspicion, the implementation of the Prespes Agreement acts as a bridge of strategic cooperation in a number of critical areas. Government officials refer to the internationally acclaimed press reports that highlight the historicity of Tsipra’s visit to North Macedonia and the great potential for economic growth that is being opened in the wider region. The Prespes Agreement has taken a toll on the polling rates of SYRIZA, with Alexis Tsipras recognizing that there was a political cost. However, the government team estimates that as the implementation of the Agreement progresses, the climate in society will be reversed in favour of SYRIZA as the benefits for Greece will become evident. It is also estimated that the Fake News, for which the government accuses ND, will be exposed. Greater weight is given to agreements that facilitate and enhance the growth prospect and business activity in the region. The solution to the problem of double taxation, the customs cooperation between Greece and North Macedonia, the facilitation of trade, the interconnection of the two major Greek ports, Piraeus and Thessaloniki, with North Macedonia as a passageway for Central Europe, the Piraeus-Thessaloniki-Skopje-Belgrade railway interconnection network, are examples of the strengthening co-development. A portion of the Greek press considers the agreement on cooperation in the security of the airspace of North Macedonia, in the framework of the defence cooperation, as crucial. The agreement encompasses education, defense and technology, cyber-security, military intelligence and airspace surveillance, with Greek radars helping those of North Macedonia. It is noted that within NATO, Greece contributes to the air safety of Albania and Montenegro. In addition, as government officials point out, the agreement to set up a committee in May to address solutions to trade-related issues and product labels, overturns the opposition’s argument that the Prespes Agreement jeopardizes the trade names of Greek Macedonian products. The business forum that followed the Supreme Cooperation Council demonstrated the great interest of Greek business giants and business representatives. The business mission from Greece numbered almost 140 members, far exceeding the initial planning of 70. Energy, tourism, transport, commerce and other projects were the main agenda of business talks from both countries, while the major investment possibilities were highlighted. The visit of Alexis Tsipras was preceded by reports and estimates that the business world of northern Greece will not participate, in a show of protest for the Prespes Agreement, with SYRIZA executives denouncing the main opposition party of a sabotage campaign. However, over half of the entrepreneurs came from northern Greece.